Some of its experiences had a Python-esque air, particularly in supposedly-lavish F1. From around the season's one-third point there was next to no car development which in time made its fight with Force India for fifth in the constructors' standings at least a forgone conclusion. Many parts to improve the machine were designed but never made, or else were made but not in sufficient numbers to run in a race. In Hungary the team only got tyres minutes prior to first practice due to unpaid Pirelli bills - then couldn't run immediately due to them not being heated. Then in Spa Grosjean bagged third place in a car that was technically seized by bailiffs, after a legal challenge from its former reserve driver Charles Pic who was arguing that he didn't get as much time in the car as promised. Grosjean also that day recovered from a gearbox penalty and the team's admirably-frank head of trackside operations Alan Permane admitted that a lot of the reason he got this was that the team couldn't afford more than three gearboxes for the season, meaning in every race weekend one driver had to use a race gearbox in practice. In late rounds the team even was locked out of hospitality units due to not paying for them. All the while High Court proceedings over unpaid tax bills rumbled in the background. Little wonder that Permane confirmed that "this is the worst season we have had financially". Somehow though, in a way you suspect that only Team Enstone could, it was all shrugged off as the squad got on with it and that even sixth in the constructors' table was claimed, and was done despite a relatively high number of no scores (some car, some driver), represents close to the unimaginable. The car, helped by Merc grunt, tended to go well on fast tracks and as mentioned it even got a podium finish in Spa, perhaps the year's least likely result from anyone. And whichever individuals come and go from this squad its hardy spirit and effective ways always seem to survive undiminished. 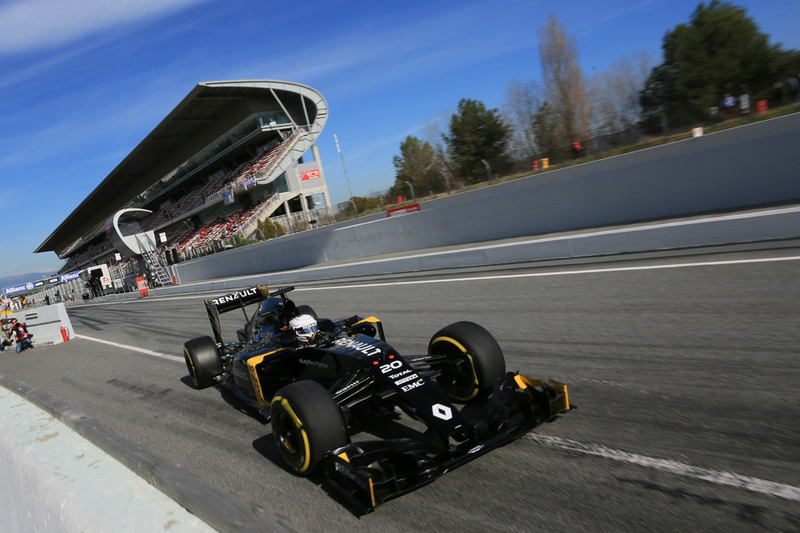 The acquisitions in its fledgling new era back as Renault have been good too. Frederic Vasseur, made famous by ART in the lower formulae, is in as Racing Director while the highly-rated and vastly-experienced Bob Bell is back for a third spell, as Chief Technical Officer. His recent Mercedes experience will be like gold dust. Still the road back will be a long one, the recruitment drive continues and getting good personnel in ain't the work of a moment. And given the squad became rather a husk last year and that as mentioned the takeover - which necessitated an engine switch too - was confirmed only late, that the 2016 car looks conventional and wasn't pulling up trees in pre-season testing is no surprise. There were rather more reliability glitches throughout than for comfort too. Yet the RS16 appears to be comfortably, respectably, on midfield pace. 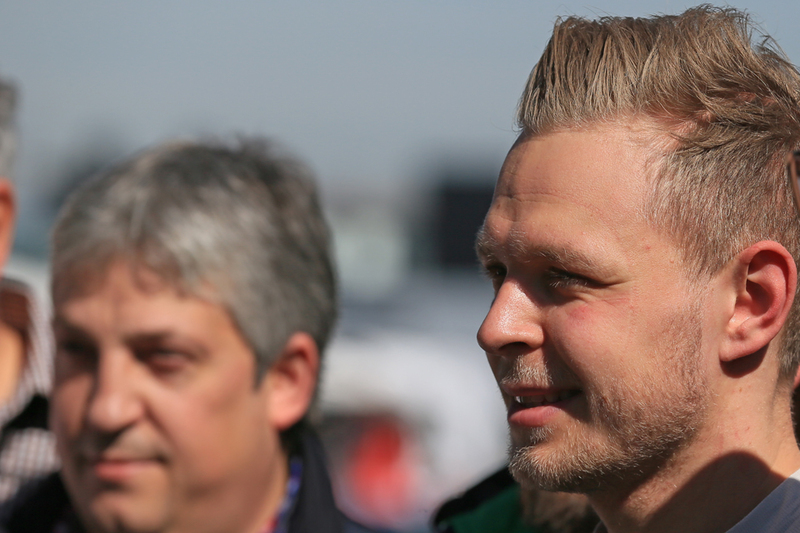 "We are behind, we know that, but we have a good base" said new driver Kevin Magnussen, rather summing things up. As things stand moving from Mercedes to Renault power will set the team's competitiveness back, and indeed its other driver Jolyon Palmer confirmed as much. Yet you'd think the commitment to being a works outfit cannot be bad news for the development of the maligned French power unit and even the hard-to-please Christian Horner has made positive noises about the new ways in place at Viry, while also an upgrade is due early in the season. Vasseur promises more generally that resources will not be an issue. He talks also of "a long-term project" rather than instant success. But we should not assume this is mere kicking into the long grass. 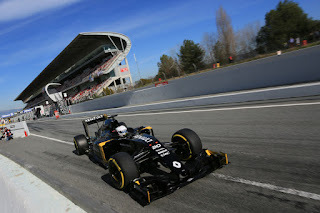 As we know, both Renault and especially Enstone tend to get it right eventually. It didn't look like it would happen; but it has. That unlikeliest of things in pitiless F1. That a fast young thing harshly cast aside gets a second chance. When Kevin Magnussen stepped into F1 at McLaren for 2014 grasping a glittering junior CV and then drove superbly under pressure to what eventually became second place on his debut, he looked set for a long and decorated career at the top. Yet the transition from there to man-under-pressure then to man-discarded was breakneck. He totalled well short of half of his stable mate Jenson Button's points and while he had pace there were doubts about his ability with the Pirellis as well as his capacity for self-improvement. He admitted too that once it was clear Fernando Alonso was on the way in at Woking, and he was in a shoot out for his future in effect, he wilted a little. And Button got a last gasp reprieve after the season ended in Magnussen's stead - and it's still unclear whether that reflected performance, marketing, politics, or a combination of all of them - leaving the Dane to watch on obediently in 2015. Then after almost a year of this Magnussen was informed (by email and on his birthday!) that he was out of McLaren altogether. And it looked for all the world that he was out of F1 altogether too. Yet it seems in keeping with this game's surrealism that Pastor Maldonado's money drying up at the 11th hour, itself reckoned to be a consequence of the world's falling oil price and economic chaos in Venezuela, was the rather unlikely route to Magnussen's reprieve. It was in the nick of time too, as even the man himself admitted that two years out of F1 would be as good as impossible to recover from. There's an irony around too as while not that many regretted the rather wild Pastor's F1 passing, Magnussen in his sole F1 season threatened to become a pariah himself. In the latter part of the year he got his elbows out and in quick turn had his cards marked by the stewards. A lot of the censure seemed harsh though not all of it was - driving Fernando Alonso off the road at 200mph in Spa springs readily to mind as an example of the latter. But for the reasons given Magnussen surely by any sane measure had enough in the tank to deserve another go, and it's a comfort that even in F1 there is justice at least occasionally. However haphazard the path was to get there. You'd think that a GP2 champion getting their F1 race seat break, albeit a year delayed, would be viewed as a no brainer. Yet in Jolyon Palmer's case, who gets such a break with Renault this year, there does seem to be oddly diverging opinions about him out there. It did take him a while to reach his 2014 peak of the GP2 crown; he'd done three seasons at that grade prior to it as well as beforehand had taken the slightly unorthodox route of Formula Palmer Audi and F2. His selection for the drive also owes in part to money he brings, thought to be in the ballpark of £4-5 million, and apparently given the team's desperate financial situation at the time that he offered the bucks upfront was a helpful discriminator. Perhaps it's related in part also to the more general leg up he got from his father Jonathan - himself an ex F1 driver and now a major figure in British motorsport series and circuits. The two championships mentioned were run by his father indeed, while PalmerSport or MotorSport Vision tended to appear in his team names prior to arriving in GP2. But still it is near-impossible to argue that someone who triumphed as champion in the sport's direct so-called feeder series doesn't deserve an F1 race chance. Least of all given the way he won it, being both a routine front row qualifier - doing so nine times out of 11 - and a superb late-braking overtaker; indeed more than once that season he undertook a thrilling drive through the field. He also was consistent, scoring 20 times out of 22. That he beat Stoffel Vandoorne and Felipe Nasr to the crown, and pretty comfortably, suggests further he was doing something more than merely passable. 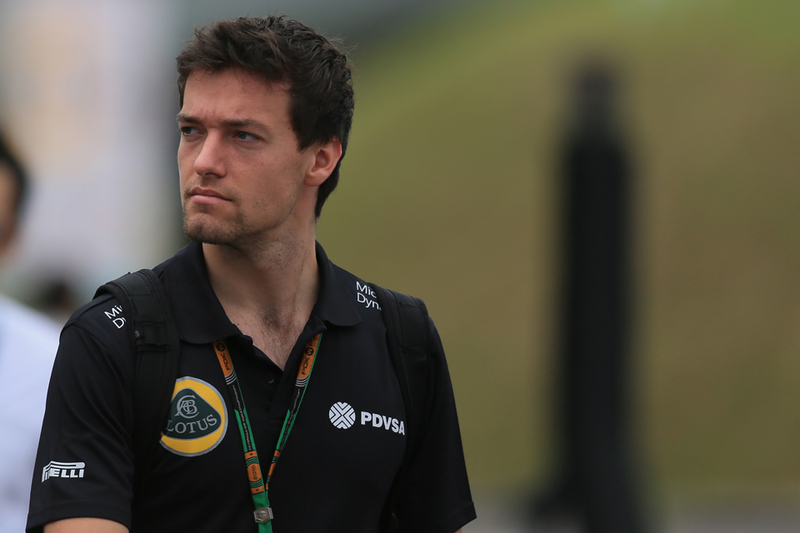 He has direct F1 experience too, spending last season at the team and taking part in 13 first practice sessions. His performances therein were solid rather than spectacular, to the point that Alan Permane suggested to him directly to be less cautious, something Palmer admitted was fair enough. He pointed out in mitigation though that the track at that stage of the weekend is low on grip plus he was wary of damaging Romain Grosjean's on loan chassis. Whatever is the case the opportunity he gets for 2016 is not without merit and his Toro Rosso-style youthful match-up with Kevin Magnussen will be a fascinating one. Over to him now.